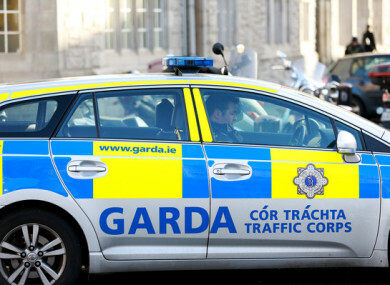 GARDAÍ IN DUBLIN are appealing for witnesses after two elderly pedestrians were knocked over in a hit and run in Santry earlier this week. The incident happened on the Swords Road on 19 December at around 9.40pm, on the city-bound side of the roadway adjacent to Morton Stadium. The two male pedestrians, both in their 80s, were knocked down by a motorcycle, which failed to remain at the scene. Both men were taken to hospital, where one remains in a serious but stable condition. The other pedestrian received minor injuries. Gardaí have appealed to anyone who may have witnessed the collision or any taxi drivers or motorists who travelled along the road who may have dash-cams to contact them at Santry garda station on 01 666 4000. Email “Two pedestrians (80s) hospitalised after north Dublin hit-and-run”. Feedback on “Two pedestrians (80s) hospitalised after north Dublin hit-and-run”.